LinuxCon Japan is the premiere Linux conference in Asia. Attending many core open source developers, kernel hackers, administrators, users and so on. It's an important opportunity for open source contributors. So this is my summary and review. About my session. It's my first time presentation in English. Actually I had prepared three months. First, I'm not a native speaker. don't speak English well. So it needed. 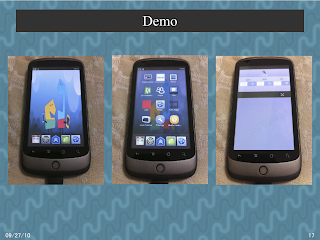 Second, My presentation was a plan to port the MeeGo to a device. When I sent a CFP, I didn't have anything. It was challenge. Then result was so good. 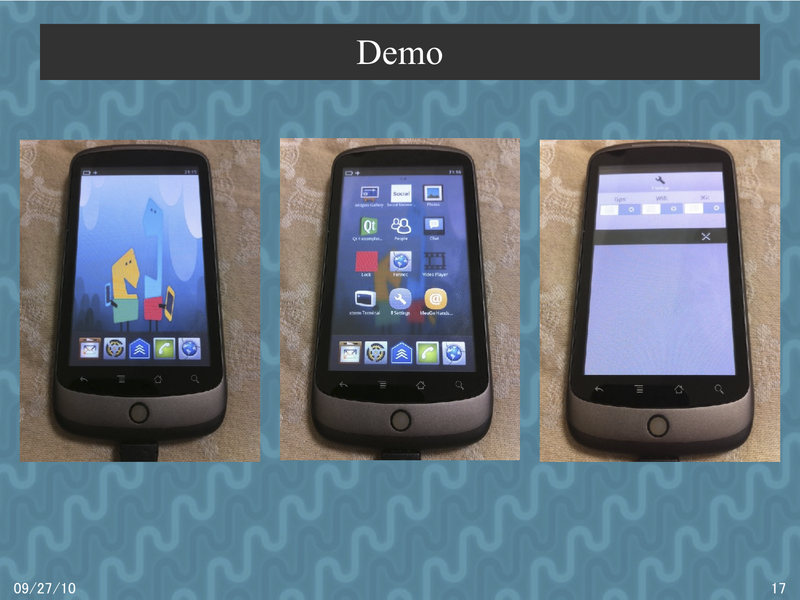 MeeGo could work on the NexusOne. I was able to communicate this possibility. Of course, this plan has many issues. Anyway, this experience was important to me. My next goal is now planning to act. My work will not end until death.